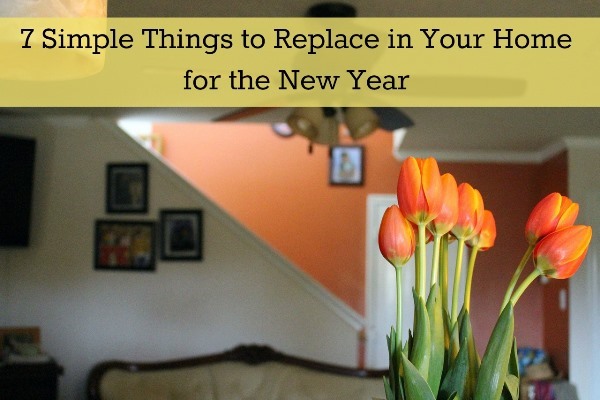 So now that the Times Square ball has dropped and we're all settled into the new year, there are a few easy ideas I want to share about the things I do to make my home ready for a new year and a fresh start. These are simple ways to get your home ready for the new year that will ensure your family life (and routine) is off to a smooth start. Organize, purge, and replenish writing instruments. At the beginning of the year, I go through the pencil cup we keep next to the fridge in our kitchen, and through the supplies box I keep in the kids' craft area and check it for things that need to be thrown out or replaced. I go through old pens and pencils to toss out the ones that no longer work or have erasers. If I find pencils that just need to be sharpened, I take all of them down for a visit with my trusty electric pencil sharpener, then put them back. We're also known to hoard mechanical pencils in this house so I will also replace lead and erasers at this time. I also do a cleanup of our Sharpies and washable markers, pitching old ones and replenshing them with new. Inventory and replace household sponges. I forget more times than not, to clean or throw away kitchen sponges after so many weeks of use. So, at the start of a new year, I make it a habit to go through what new sponges I have under my sink and replenish my inventory and/or replace ones if I need to. This includes the sponges we use at the sink for dishwashing, sponges for bathroom cleaning, and general purpose sponges like this awesome Scrub Daddy I've found I just can't live without! When I do remember to clean my sponge dishwands, it's nice that I can put them into the dishwasher with a load of dishes and have it cleaned and disinfected that way. Replace air and furnace filters. It seems like I am always forgetting when was the last time I replaced our air filter, but I've found a new way to keep track of it. In January of each year, I buy several at one time (we use these air filters by Filtrete) and put in a new one. Then, I set a reminder on my iPhone that will alert me every 60 or 90 days (depending on what I set it for), to swap our filter. Super easy and helpful. And, I try to be diligent about this task since it only takes a few minutes to do and saves money on our energy bills. Change the batteries in smoke detectors. This is likely something you do already, but a little reminder never hurts. The beginning of a new year is the perfect time to swap out your smoke detector batteries. This is especially true if you've just reloated or moved into a new house since you may not know exactly when the batteries were last changed. It's also the perfect time to review your family's fire escape plan and meeting spot outside your home. Although we've lived in our home for nearly 12 years now, we still talk to our kids about the meeting spot outside our house should we ever need to get out in case of fire. It never hurts to go over things like this, especially when kids are involved. Throw out those old toothbrushes. I always buy toothbrushes when they are on sale and store them in a container along with extra toothpaste, underneath our bathroom counter. The beginning of the year is a good time to go through your bathrooms and replace all the toothbrushes. Ideally, they should be replaced every 3 months, so set a reminder for yourself to do it again in the spring. I also like to give my kids new toothbrushes after they've gotten over colds or illnesses just to be on the safe side. Clean out, purge, and replace kitchen spices. If you're like me, you tend to use some of the same spices over and over again. Those that you use most often may not need replacing, but the ones that you use seasonally or not as much, may have already expired. It's a good idea to go through the space rack/holder and throw out any old ones. You can then add those to your grocery list and replace them on your next trip out. Trust me, it feels good knowing that all of your spices are up-to-date and fresh when you're in the kitchen cooking for your family. The bonus is that your food will taste better with fresher spices, too. Replace bath and body sponges and mitts. In addition to the sponges you may use for cleaning around the house, you may also have bath and body sponges for shower use. Or, maybe your kids have bath mitts or sponges in their tubs. It's a good idea to replace these now, too, since they can harbor germs. Plus, who really wants to be bathing with last year's sponge?! Note to self: these also would make great stocking stuffers for next year's Christmas holiday! You'll already be one step ahead for NEXT year! Do you have any other great ideas for getting your home ready and in order for the new year? 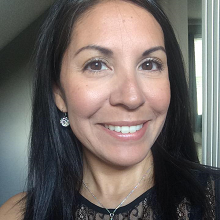 I'd love to hear your ideas in the comments. *Affiliate links may be used in this post and help support this blog. Thank you. Great ideas! I need to go do all of these right now! Thanks for stopping by! So glad you enjoyed these ideas. Happy New Year! Good tips! I need to go through our spices, I haven't done that yet. We've been eating at home more but I know there are some hidden ones in the cabinet that could probably go! Now I have a list of things I need to change/replace this weekend! We have been working on decluttering the house while my husband was still off work (he returned yesterday) and I just purged a ton of office supplies. Batteries changed in the smoke detectors will be next! Great tips! Last year I neglected so many home tasks while helping out with my dad. Now is a great time for a new organized start! These are fabulous tips! I've done all this year except for my spices. This is a great reminder that I'm not finished yet! It's interesting how little things like having a new toothbrush can really make an impact on how you feel. Just starting out the day fresh and clean makes me feel more put together. I'll have to tackle more of your list. I do all of these, except that I have never ever thought about getting a new toothbrush after being sick. What a great idea! This is a list that we should all take to heart at the beginning of a new year. It's definitely a list that we should go through and do. Thanks for this powerful suggestion to start out the new year right. I forget to change the batteries. That's a great idea! I keep forgetting to buy new furnace filters and ours are bad. Our thermostat even says to replace it. I've been doing a lot of organizing and purging as well. I love the New Year! Very good ideas. We usually do our organizing, cleaning, etc. in the spring but there is never a bad time. Thank you for sharing. Thanks for these tips. I need to replace some things around here but been so busy. Thanks for the reminder. These are really great ideas! I really need to go through my kitchen spices. all are amazing tips. It's been a year since I've done my spices, so it's definitely time. It's great to have a schedule for those types of things. Otherwise I end up obsessing in the middle of the night over what germs must be living on my sponges.